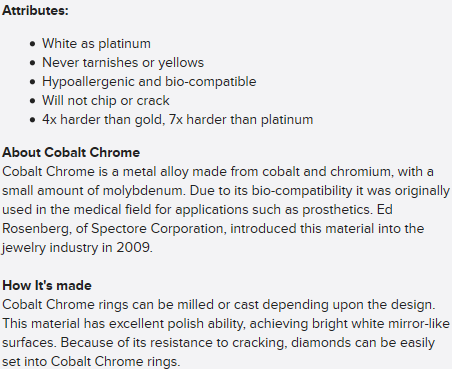 This very cool Cobalt Chrome ring by Benchmark is the epitomy of style and precision engineering. 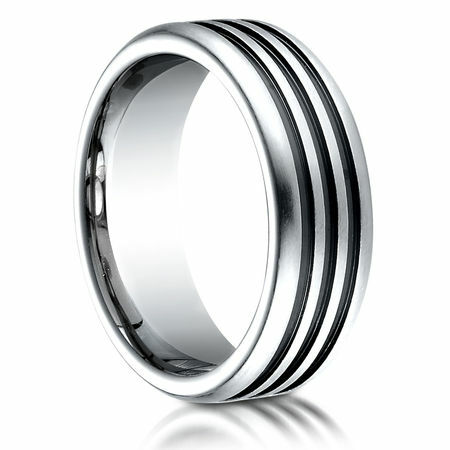 Measuring 7.5mm wide with a comfort-fit band, this cobalt ring has three grooved channels encircling the ring. Each channel is permanently blacked using a Physical Vapor Deposition coating. The black channels pair up nicely against the high polished brilliant white cobalt ridges.